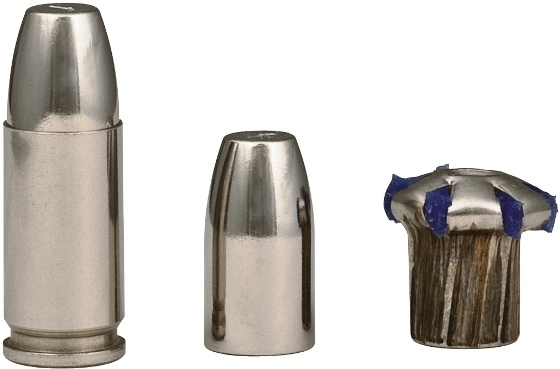 For those that may be new to carrying a pistol, they may not know the difference or importance between hollow-point (HP) and full-metal jacket (FMJ) ammunition. There is a great deal of difference between HP and FMJ types, but when it comes to carrying a pistol for self-defense those differences are even more important. There can be grave consequences to not having impactful ammunition if an individual threatens bodily harm against you or your family, and in a court of law there could be repercussions as well… at least I thought. 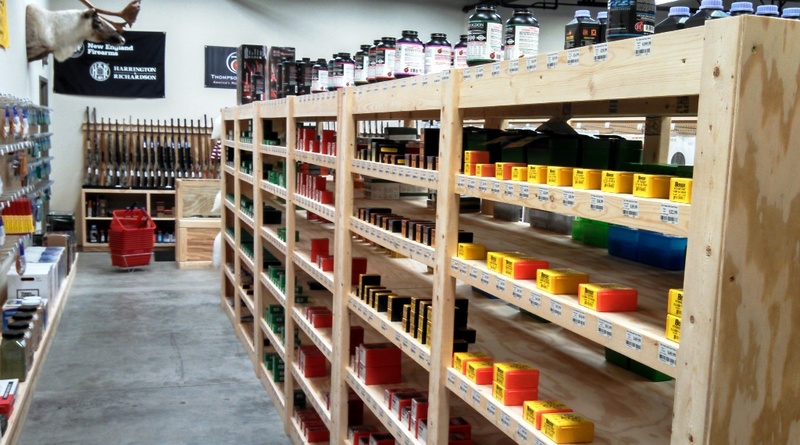 When it comes to self-defense ammunition for those who are not new to the subject, HP ammo is typically the standard, or some kind of similar expanding or deforming ammunition. This could be a lot of things like: traditional HP, polymer-filled HP, expanding full metal jacket (EFMJ), or a frangible-type (such as Glaser brand used by Air Marshalls). 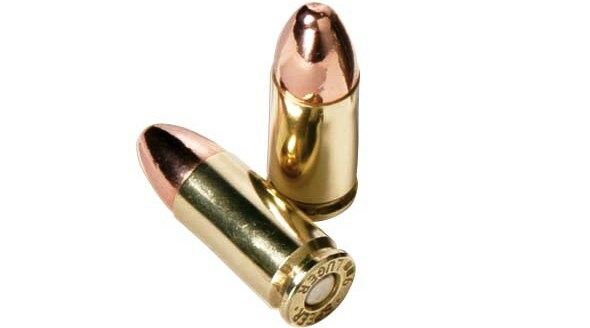 In some regions of the United States HP ammo is illegal; although that situation is quite rare, you should always consult your local laws to be sure, and then use an alternative expanding ammunition as mentioned earlier. 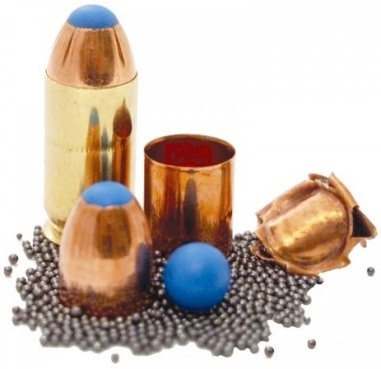 HP ammo in general is: More Effective/Impactful, Less Collateral Damage, Ends the Confrontation or Situation, and it is Publicly Accepted as a suitable defense round; it has Time-Tested Effectiveness. FMJ ammo in general is: More Likely to Ricochet, Cause TOO MUCH Penetration (Ex. Shoot through Multiple Layers of Drywall within your own Home and Injure a Loved One), and has Less Knockdown and/or Stopping Power. All of the points touched upon are in reference of using FMJ and HP ammo in a carry pistol. HP ammo still has negatives just likely FMJ has positives, but for carry ammo, you can see why HP ammo is your best option. Now back to my original question and thought: Can you get in trouble for using FMJ ammo in your carry pistol?… In a court of law, you will not be so heavily scrutinized for your choice of ammunition (HP vs. FMJ) which was my initial thought. Rather, you will be questioned on your prior training and experience with firearms; how much; how recent; what was your self-talk and decision making upon unholstering and discharging your firearm; what clothing had you worn; why did you wear that clothing; what firearm did you use; why did you originally buy that firearm; where on your person did you carry that firearm; and was it carried open or concealed will all be evaluated. I believe everyone would agree with the statement that we may carry and own a pistol for self-defense purposes, but we hope to never use it. In the event that you do use your carry pistol, even if you are 110% within your legal rights of defending yourself, you will be questioned, scrutinized and over-analyzed until the cows come home! So it’s just good “food-for-thought” to use HP ammo in your carry pistol. You’ll end the confrontation faster (as to not injure others or increase the likelihood of you getting hurt) and you’ll be less likely to have your ammo over-penetrate and hurt a loved one in your home (if that is where a confrontation takes place). Hi there, I found your site via Google while searching for a similar subject, your web site got here up, it appears to be like great. I have bookmarked it in my google bookmarks. Exceptional post however , I was wondering if you could write a litte more on this topic? I’d be very grateful if you could elaborate a little bit more. Appreciate it! I’ve been browsing online more than 3 hours lately, but I never found any interesting article like yours. It’s lovely worth sufficient for me. In my view, if all web owners and bloggers made just right content material as you probably did, the web will likely be a lot more useful than ever before. Have you ever thought about including a little bit more than just your articles? I mean, what you say is fundamental and all. But just imagine if you added some great images or videos to give your posts more, “pop”! Your content is excellent but with images and clips, this site could undeniably be one of the very best in its field. Good blog! I just want to say I am just beginner to weblog and certainly enjoyed your blog. Almost certainly I’m planning to bookmark your blog post . You amazingly come with remarkable stories. Thanks a bunch for sharing your webpage. I too would love a hard copy. And love your verbage. me know if this is OK with you. Thanks! I just want to mention I am new to blogs and certainly enjoyed this web-site. Most likely I’m want to bookmark your blog . You really come with exceptional posts. With thanks for revealing your web-site. I just want to mention I am beginner to blogs and definitely enjoyed this blog site. Probably I’m want to bookmark your blog . You surely have impressive article content. Appreciate it for revealing your web page. of it’s lack of penetration ? Normally, Full-Metal jacket (FMJ) is frowned upon regardless what it is made of (copper, lead, bi-metal, etc.) because it lacks impactfulness, has a high likelihood of over-penetrating, and is more likely to ricochet if your shot misses its mark. Let’s replay this again. I have an auto with 5 lead hollow point .22cal LR .